Modern & traditional frameless mirrors in all shapes & sizes. 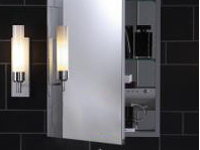 Modern, contemporary frameless mirrors measured to fit in all shapes & sizes. Modern & decorative, beveled edged sophistication. Beveled edged frameless mirrors provide a polished finish that looks amazing with any modern or contemporary room. Mirrors can have multiple beveled edges for a more decorative & enhanced look. All mirrors meet Australian safety standards for glass and can be custom fitted to any colour, shape and size based on your requirements. Flat, straight edged mirrors for polished look. Flat edged (or polished edged) mirrors look amazing in any modern and contemporary or traditional style room. 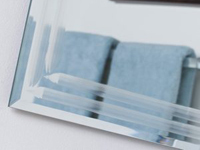 All mirrors meet Australian safety standards for glass and can be custom fitted to any size based on your requirements.